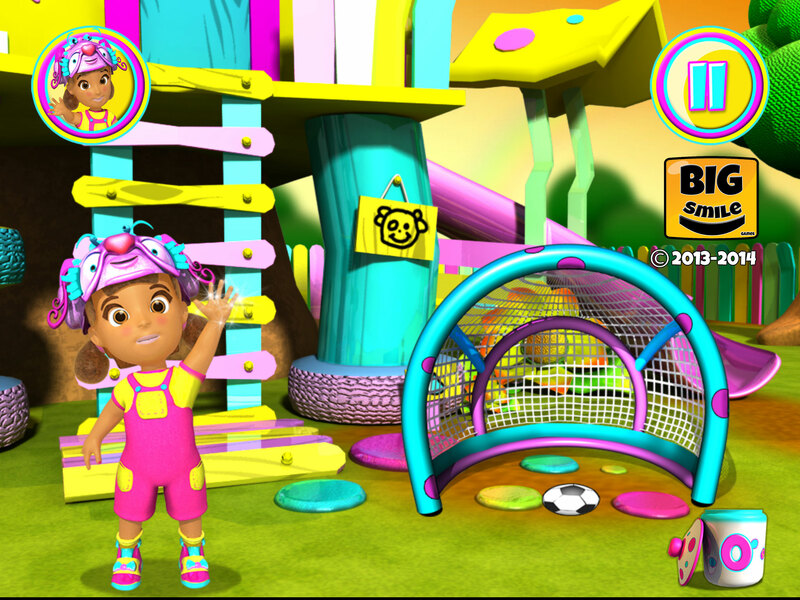 Congratulations to Dale Kilgore Jr, developer of our November GameSalad Game of the Month, Gigi and Lily! 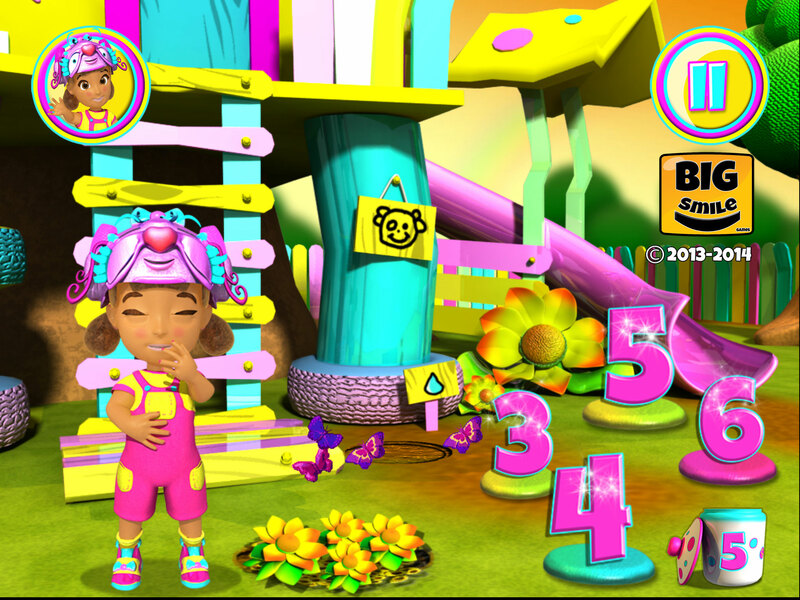 Our November winner is a game designed to introduce younger kids to numbers and spelling! Dale: I am a one-man studio and have a BFA in Digital Arts. As a result, I am able to do all of the animation and art design myself. Honestly, it’s nice having some artistic ability and being able to program with GameSalad. It’s cost effective, as I do not need to employ an artist to design my games. This allows me to have complete artistic freedom when designing my games. It’s a lot of work. However, I love the creative control that it gives me! One day I look forward to collaborating with other artists and game developers on larger projects. GameSalad: The art of your game definitely shows off your strong artistic background! What got you interested in GameSalad? Dale: Truthfully, I have always had a deep desire to design games. However a fear of programing prevented me from designing them myself. One day I decided to pursue my passion. While researching ways to program apps I stumbled upon GameSalad. Admittedly discovering GameSalad has been an absolute pleasure. In fact, because of GameSalad I now consider myself to be an independent game designer! I love the creative freedoms that it allows. Simply put, if you can imagine it, GS has the tools to allow anyone to quickly turn their artistic visions into a reality. GameSalad: It’s great to hear that GameSalad has helped you to do what you’re passionate about! 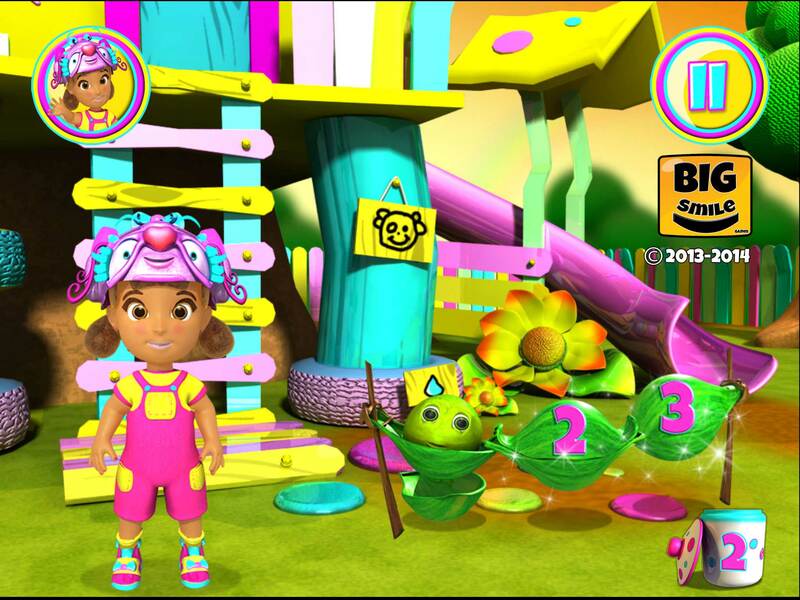 What inspired you to make an educational game for kids? 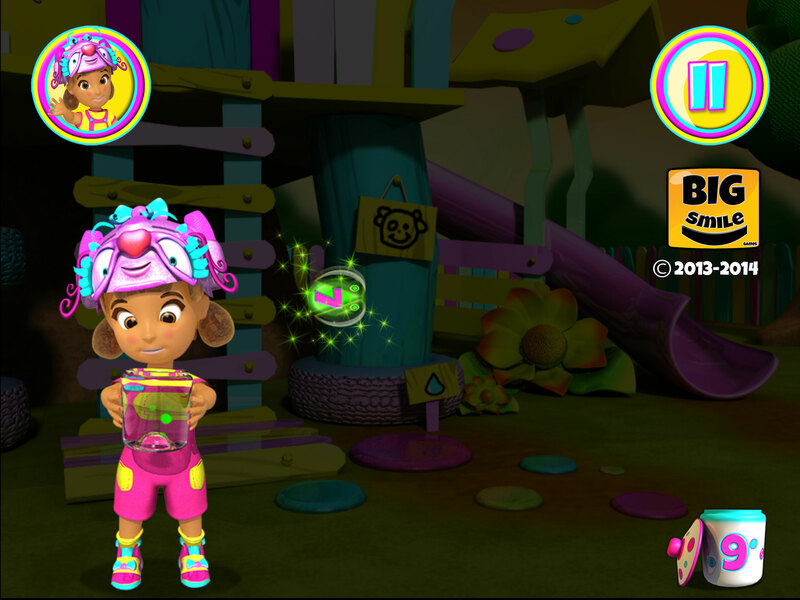 Dale: The inspiration behind Gigi and Lily is an inquisitive 4-year-old girl named Gigi, whom happens to be my niece. My niece has even helped design the title character as she has provided valuable feedback, most specifically the character’s hairstyle. GameSalad: She sounds like quite the little helper! How long have you been using GameSalad? Dale: I started using GameSalad in 2012 and next July will mark my 3-year anniversary with pro membership! GameSalad: Awesome! How long have you been making games? Dale: I have been designing and publishing games since my discovery of GameSalad in 2012. I aspire to continue to make games for the rest of my life. GameSalad: Hopefully your aspiration becomes reality! Have you been pleased with the final product and has the game met or exceeded your expectations? Dale: Yes. The Gigi and Lily game has far exceeded my expectations. GameSalad: That’s great to hear. About how long did it take you to develop Gigi and Lili? Dale: I have spent 8 months and untold man-hours developing Gigi and Lily from concept to completion. Typically, I like to take my time and learn as much as I can while developing my games. Learning new programing techniques and pushing myself as a game developer is very important to me. Simply put, learning how to create engaging, high quality games in a professional manner takes time. Additionally, the animation and artwork for Gigi and Lily required additional time. 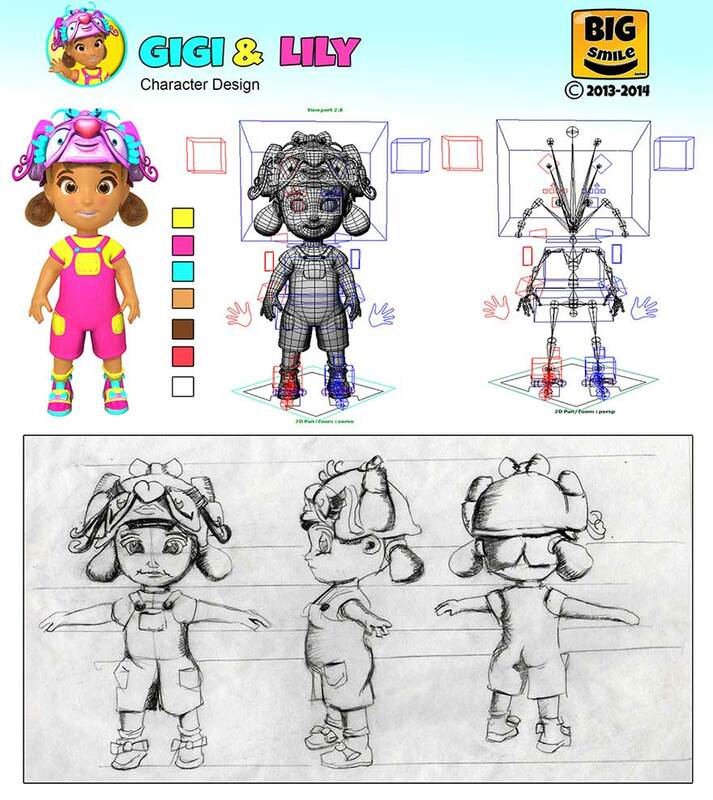 For example, I utilized a 3D modeling and animation software program in order to produce most of the art and animation seen in Gigi and Lily. Although this increased my production time I feel that the visual results enhance the quality of the Application. Dale: Also, I wanted to push the limits of GameSalad and find out if I could create a 2D game with the look and feel of a 3D game. I feel that GS handled this challenge very well. GameSalad: You definitely did a great job of creating that 3D look. Any words of advice or tips to share with fellow GameSalad developers? Dale: Even though I am still learning and perfecting the craft of game development I have a few things that I would like to highlight. Firstly, GS has a very supportive community of game developers. Take advantage of this and ask lots of questions. In sum I learned the skills needed to develop Gigi and Lily by watching user created videos and asking fellow GS developers questions. impossible tasks will make you a better artist and game designer. Nothing is impossible. Just do it! Dale: Thirdly, observe the work of other game designers, especially those whom are successful and whom regularly produce high quality games. Find out why they are successful and why their games are received well. Don’t be afraid to ask them for advice. Fourthly, engage in deep self-reflection and don’t be afraid of having others critique your work. Even though it may be difficult to do so it is essential in order to grow as a developer. Lastly, take your time and produce a quality game that you are happy with. As previously mentioned, learning how to create engaging, high quality games in a professional manner takes time. I am still learning this myself and while at times it seems like an impossible task I will never stop trying. GameSalad: Thank you for all the insight! What do you plan on doing next? Dale: Actually, I have a new Gigi and Lily App in development, which is even more interactive then the current one! Additionally, I have another exciting App being produced as well. Dale: In sum I am going to be very busy over the next few months. Both apps are scheduled for release during the first business quarter of 2015. Game development and milestones will be shared with the GS community as each app is being produced. GameSalad: We’re all looking forward to your upcoming apps and wish you the best of luck! If you have a youngster at home and think they’d enjoy Gigi and Lily, it’s available on iTunes here. If you need more convincing, check out the trailer and the Gigi and Lily website!